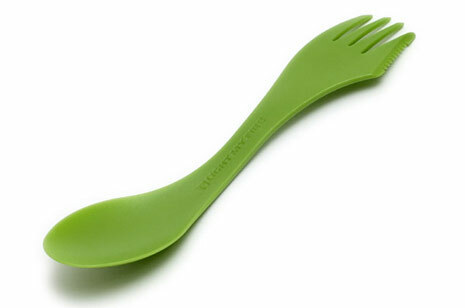 I first saw the Spork from Light My Fire on the Apartment Therapy web site. After seeing it received the TreeHugger stamp of approval, I headed on over to Amazon.com and bought myself a set. This is perfect for people who pack and bring their lunch to work (like I do), and want to avoid using disposable plastic utensils everyday. Or you can just bring your own silverware from home (like Liz does). Just don’t set off the metal detector on your first day at the prosecutor’s office (like Liz did). How many licks does it take to get to the end of a yoghund? 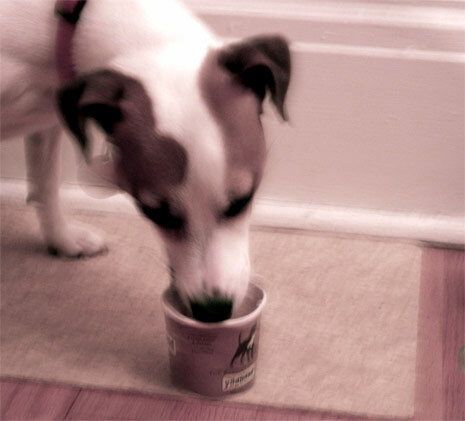 As Rhaya forewarned in her post about Jackson’s litter, this may be the first of many posts about my energetic Jack Russell,�Scarlet.�� After a long walk in the warm August sun, Scarlet devoured this organic frozen yogurt, so I’m guessing she liked it!�� But I like it too!��No, not because I tried it, but because of what’s in it�(organic peanuts, organic bananas, pure spring water and live cultures) and what’s not in it (no additives, no fillers,� and no chemicals).� Its good for her and its biodegradable packaging is�good for Mother Nature too! Posted in At The Market by Liz on August 22, 2007 | Permalink | Comments Off on How Many Licks? Do you have a tip, recipe, product review or thought that would be a perfect post for Green-Lemonade.com? Send it our way! Have more than one? Check the box to be considered for a guest writer – a future feature we will be adding to the site. In a food processor, blend 1/2 of an avocado with 1 banana, 1.5 Tbsp. of cocoa powder, 2 Tbsp. of Almond Milk (or water) until smooth. Add more liquid as necessary to facilitate a pudding like consistency. I also like to add 1/2 of a packet of Stevia, which is an extremely sweet herb native of South America that adds a natural, no calorie sweetness without all the other junk. Top it off with a little organic shredded coconut or pistachios. Yum. Remember when all you had to worry about was if your tuna was dolphin safe? No longer is that the case. Fish is a great source of protein and Omega-3 fatty acids, but unfortunately, because of increasing pollution that clouds our air and water, many fish are higher in mercury than you might think. Pregnant moms are often warned about eating certain fish when there are expecting, but what about the rest of us? 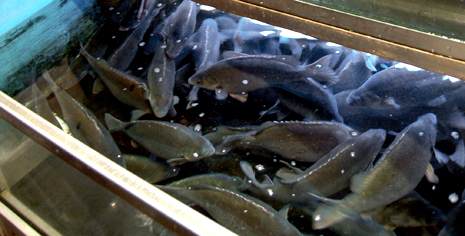 Oceans Alive posts a great list of fish that are good and not so good for you. If you don’t feel like pulling out this little cheat sheet next time you are dining at a seafood restaurant, just try to remember that the bigger the fish (swordfish, shark, etc.) the higher the mercury. Smaller fish (trout, shrimp, scallops) contain smaller amounts of mercury. Canned Tuna is the most popular fish in the United States, but the FDA/EPA recommends (women and children) eating only two servings a week. Meanwhile, sites like MercuryFacts.org (funded by restaurants and food industries) attempt to prove that the mercury scare is all hype. In a world where research is influenced by those who fund it, it is difficult to sort fact from fiction. Happy researching. Posted in Chew On This by Rhaya on August 17, 2007 | Permalink | Comments Off on Mercury Rising? I thought this article about my friend Leigh would be a great kick off to the “Get Moving” category of our blog. Leigh, was diagnosed with Hodgkin’s disease in 1999 and credits her beating cancer to taking good care of herself through exercise. 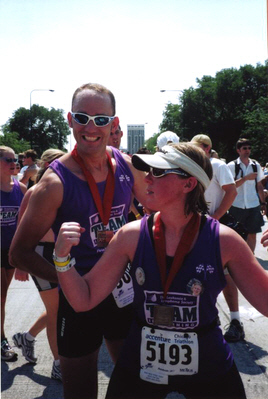 She has since trained for and completed several endurance events including a marathon, triathlon and century bike ride with Team in Training raising over $15,000 for cancer research. Tired of lettuce, tomato, ketchup and mustard? When the grill is hot, and you aren’t feeling like your usual veggie burger, try Trader Joe’s Vegetable Marsala Burger with Authentic Indian Spices. 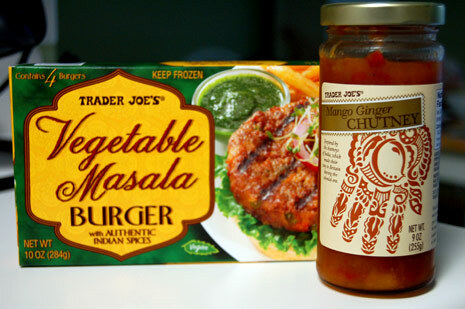 Take it up a notch by topping it with Trader Joe’s Mango Ginger Chutney. Skip the bun or eat it on a piece of a crunchy artisan bread… you’ll feel strange referring to your meal as a “burger”. What’s better than recycling junk mail? Not receiving it altogether! Junk mail wastes not only paper, but also water (yes, water). Ready to lighten your letter carrier’s bag? You’ve got options. You can use an organization like GreenDimes, who for $15 will reduce your home�s junk mail by up to 90% and plant 10 trees. Or check out 41pounds.org. Their name comes from the fact that every adult in the U.S. gets 41 pounds of junk mail a year. 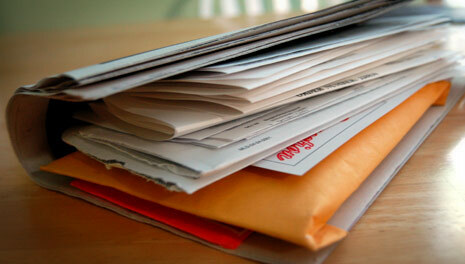 Of that, approximately 44% of this mail goes into a landfill unopened. For $41 they promise to eliminate 80 to 95% of your junk mail for 5 years (and more than 1/3 of the fee goes to non-profit organizations). If you are a DIY type of person, for a $1 you can stop junk mail yourself at www.dmaconsumers.org, or use Google or GoodSearch to find other ways to rid yourself a mailbox full of junk. Avocado, Lettuce & Tomato – Lightly toast 2 pieces of whole grain bread. Mash 1/2 of an avocado up with a little salt and a dash of cayenne pepper. 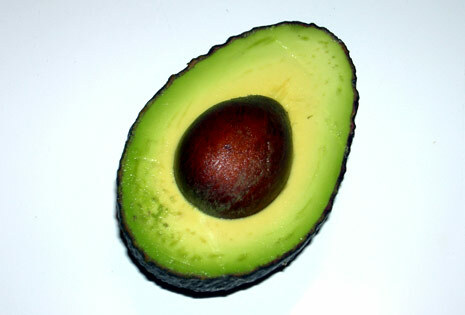 Spread the avocado mash on one piece of bread and top with onion, tomato, lettuce or spinach, and/or fresh basil leaves. Top with the final piece of bread, cut on the diagonal, and enjoy!